When the light on our forehead and our eyes get tired, when space becomes boundless, when all complete around us crack, we should lift our hands to our face, so light inside us becomes strong, so the pictures open up from the shadow. Mudra, the Sleeping Titans, and the curve of Nyx’s slim nack. Our inner lights blaze up, where the proud ego, and the dazzling outer space fade. Our hands are our most faithfull companions. When we get tired, on the seventh day our hands lift us and cover us up. When our hands, feet, and head get heavy, when our eyes get tired, we should stop. We should let the titans, the genesis, and the essence of painting sleep. 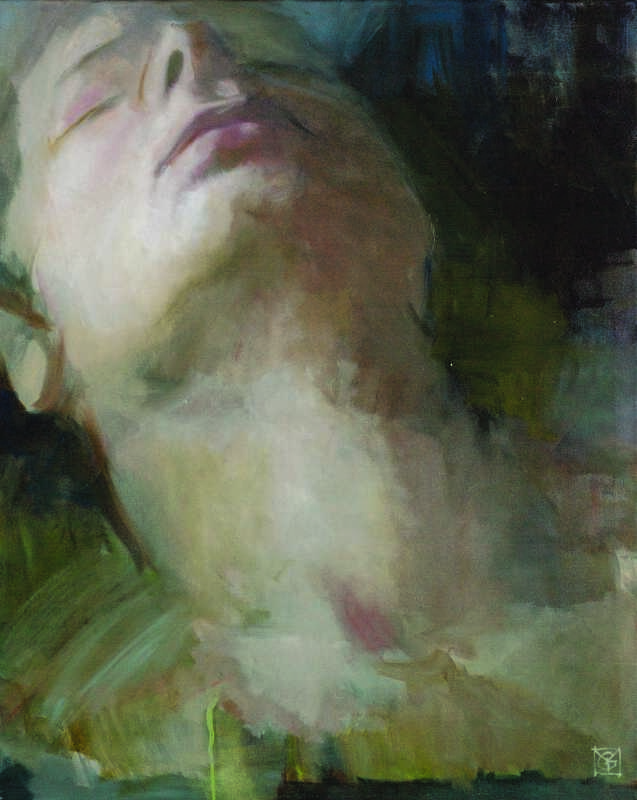 Let the great canvases at the Zenta exhibition of György Verebes sleep. We should put aside all our notes, and all the pictures we took, find a chair and sit in front of a smaller painting. Nyx. The pink curve of this woman’s uncovered neck tells us all about the essence of creation.